Modern building sites are safer today than they’ve ever been. Stringent health and safety legislation means far more emphasis on the employer’s duty of care. This extends not only to workers but to the public too and has led to a decline in the number of accidents on building sites. However, that does not mean that managers, developers, and building contractors can relax. There are still plenty of hazards on the average building site, whether it’s a multi-property development or a commercial build in the centre of town. The larger the machinery, the greater the risk for serious injury. And they don’t get much bigger than building site cranes. Operated carefully and professionally, cranes are as safe as any other piece of building site equipment. However, because of the area they cover, especially if the crane arm is very large and designed to carry heavy loads, the potential ‘damage zone’ is considerably wider. This increases the level of risk. Dropped loads can cause devastating injury or even death to workers or members of the public on the ground. An unstable crane could cause immeasurable damage and loss of life if it topples over. 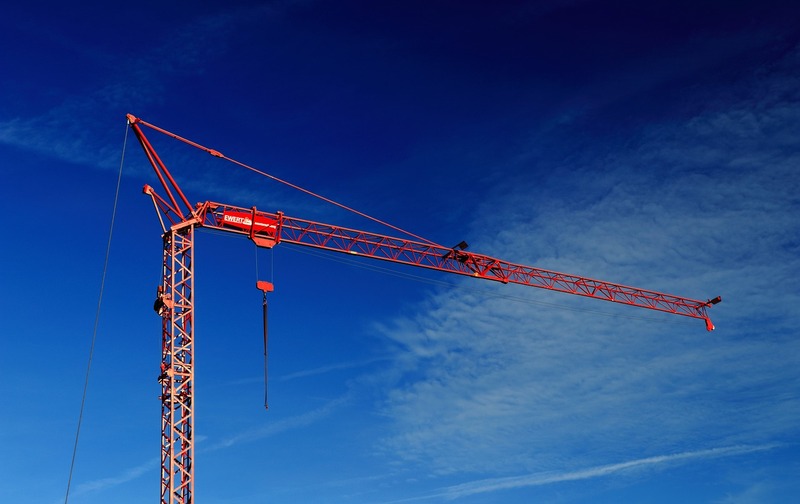 While crane-related accidents are, fortunately, very rare, when they do happen they can be much more serious – and costly – than other types of building site accidents. So if you’re a crane operator or run a crane hire business, you need the right kind of crane operator insurance. While most crane operators work exclusively on building sites, there are other scenarios in which cranes are used, such as at marinas for loading and unloading boats and yachts, demolition sites, and positioning large structures such as mobile homes and static caravans. Each situation has a different set of risks and potential hazards, from the potential for getting tangled in overhead power lines, through to a support cable snapping and unexpectedly dropping the load from height. Soft ground can cause stability issues, while operating in built-up areas brings with it additional hazards such as financial penalties for blocking main roads, or damage to neighbouring property. While it’s never possible to protect against every eventuality, it is sensible to ensure your crane liability insurance covers as many potential problems as you can. When you’re planning your insurance cover, talk to an experienced provider who will understand the various challenges your business faces. Consider whether your insurance is for fixed site or mobile cranes, and how the latter can throw up additional problems that may not be covered by standard crane operator insurance packages. While you will need to ensure that you have adequate insurance to protect you from claims for damage to property, personal injury claims can be just as problematic. While a toppled crane can cause considerable structural damage, it can also seriously injure the operator, or those working close by. As an employer, it is your legal responsibility to protect yourself and your employees by having adequate employer’s liability insurance, which can lessen the financial impact if you are faced with a personal injury claim from a crane operator. Plant theft is a growing problem, and even large machines like cranes are not immune from the attentions of professionally organised and highly skilled thieves. A large crane can be worth hundreds of thousands of pounds – could you afford to replace a stolen or damaged crane without the proper insurance cover? Damage to plant equipment is inevitable on a busy building site, especially with heavy loads and the daily exposure to the elements taking their toll. However, there’s also other types of damage that you need to insure your cranes against, such as fire damage or vandalism. For over 30 years, Park Insurance have been providing clients with the very best in specialist insurance, including crane operator insurance that gives you peace of mind and affordable, comprehensive cover. We know that no business is the same, so we don’t provide ‘cookie cutter’ policies. We work with you to create bespoke insurance packages that are specifically tailored to your business needs, and at a price you can afford. We use our position as preferred brokers to some of the UK’s largest insurance providers to hunt down the best deals. You won’t find crane operator insurance on comparison websites, so it pays to talk to expert brokers with years of experience in both insurance and the building industry to get the right insurance for you. From comprehensive construction insurance to plant cover for large equipment, employer’s liability, and public liability cover, we can put together a flexible, practical and affordable deal that suits you. And if your business circumstances change, just call your Park Insurance up and we’ll work with you to adapt to your changing needs. For more information on all our construction insurance deals, including unique crane operator cover, call us today.